Pangu’s iOS 9.2-9.3.3 jailbreak tool was released recently and is one of the most-awaited jailbreak releases ever. Nevertheless, now that the jailbreak is here, you may want to install the Pangu iOS 9.3.3 jailbreak as soon as possible. That’s because if you wait another week, jailbreaking might not be possible. Of course, that is for those who haven’t updated to iSO 9.3.3. Apple has released iOS 9.3.4, and the Pangu 9.2-9.3.3 jailbreak exploits have been patched in it. This means that you won’t be able to jailbreak iOS 9.3.4. So if you are not on iOS 9.3.3, you should install iOS 9.3.3 now so that you can jailbreak whenever you want. Apple will close the signing window for iOS 9.3.3 within a week or so. After that, you will not be able to install iOS 9.3.3 and will have to update directly to iOS 9.3.4. So if you do not want to be on an unjailbreakable firmware, you should install iOS 9.3.3 right now. Pangu’s jailbreak for iOS 9.3.3 works on devices running iOS 9.2 to iOS 9.3.3. Of course, it is a semi-tethered jailbreak. You are required to run the jailbreak app every time you restart your device in order to keep the jailbreak. A full untethered jailbreak is a permanent jailbreak that, once installed, doesn’t need to be reactivated again and again. Talking about the jailbreak, no user has reported any kind of security issues with the latest Pangu jailbreak tool. So it looks like it is safe to use (of course, jailbreak has its own disadvantages). 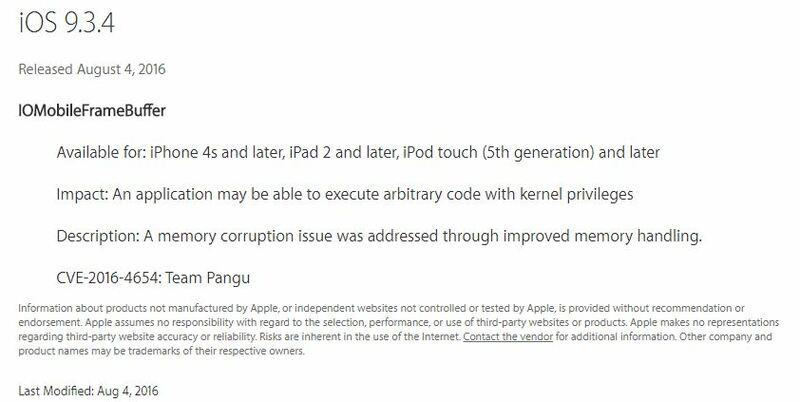 Another important thing is that in the iOS 9.3.4 release notes, Apple has mentioned Pangu’s name, thus making it clear that iOS 9.3.4 cannot be jailbroken using the new Pangu jailbreak tool. So if you are a jailbreak lover, make sure you are on iOS 9.3.3 right now. After the signing window for the version is closed, you won’t be able to update without losing the jailbreak. Good Luck! 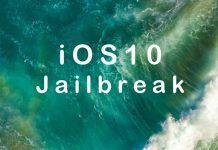 iOS 10 jailbreak Update: Watch Out For Jailbreak Scams, Are There Pangu Alternatives?